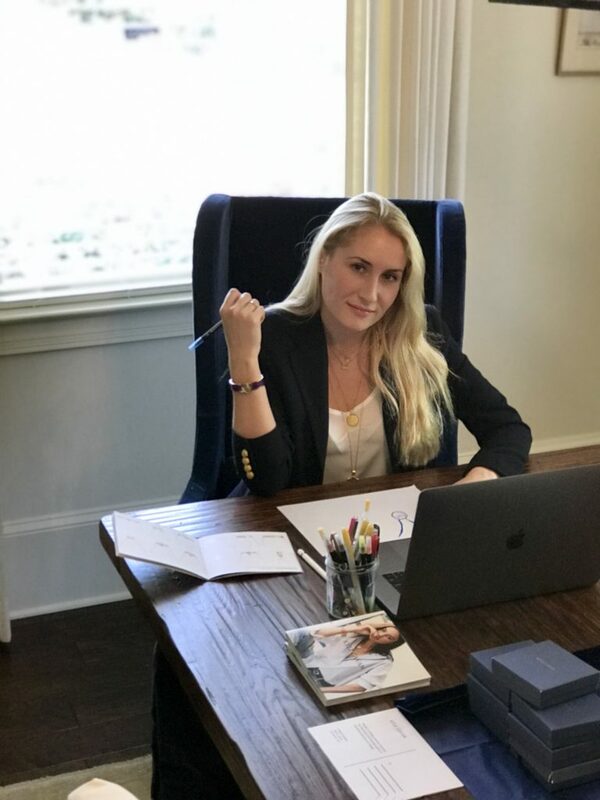 A TCU alumna founded a collegiate jewelry line that has expanded to over 45 universities across the country — and it’s still growing. 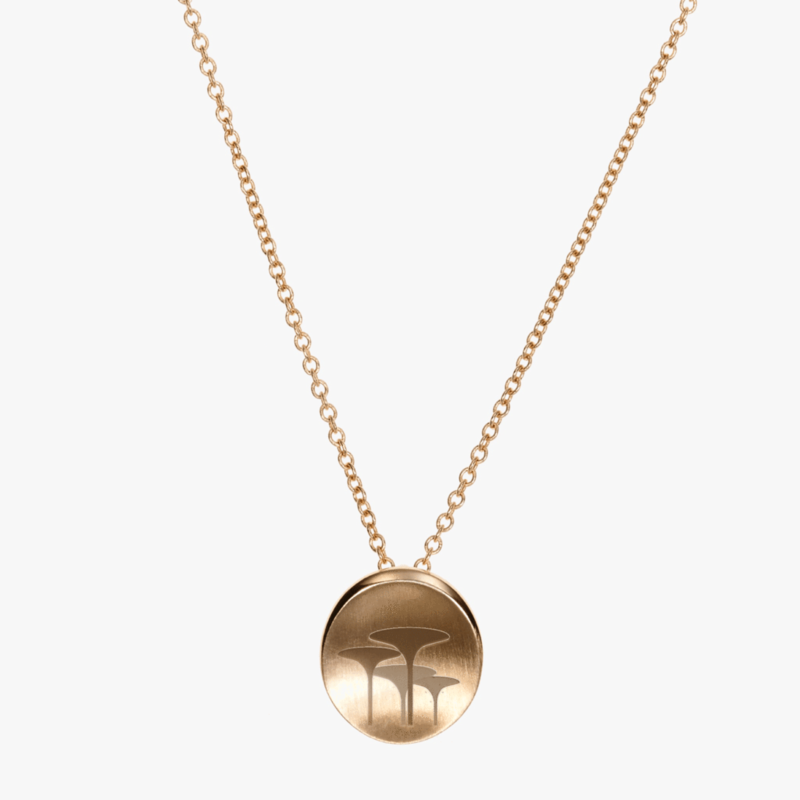 Jessica Garcia, a 2013 graduate of the Bob Schieffer College of Communication, went from working in media to co-founding Kyle Cavan, a jewelry line that began with the goal of creating “college jewelry that was not only stylish, but one that captured the bold and fearless spirit of young women today,” according to the company website. TCU alumna Jessica Garcia works on designs for her collegiate jewelry line, Kyle Cavan. Photo from Jessica Garcia. After getting engaged and moving to Atlanta, Garcia was looking for a venture she felt passionate about. When Kyle Garcia, her now sister-in-law, approached her with the idea of starting a jewelry line, she immediately accepted. When Garcia and her sister-in-law graduated college, neither of them purchased class rings, but still wanted something to remember their time at university by. This is where the idea of Kyle Cavan began — to create modern, stylish pieces representing their alma maters. The women found that the class ring was originally designed for men graduating from West Point in 1835 and the design hasn’t changed much since. This is why Kyle Cavan began obtaining corporate college licenses so that the company could create minimalistic and modern collegiate jewelry. When Garcia and her sister-in-law, along with co-founders Elizabeth Garcia and Elizabeth Shirley, were first starting out at Kyle Cavan, Garcia said the women were inspired by fellow women entrepreneurs who founded companies like Glossier, Outdoor Voices and Bumble. Garcia said she and her fellow co-founders launched their e-commerce website last fall and “things have completely taken off” since. Kyle Cavan recently obtained the license to create and manufacture pieces for TCU, which will be available to purchase in the TCU Bookstore beginning at the end of April. “Being that I went to TCU, I knew just how prideful not only Horned Frogs are, but Texans and people in the South in general, and I knew that people would really take to this and love this,” Garcia said. Currently, Kyle Cavan has necklaces emblazoned with frog fountain, “riff ram” displayed in cursive script and the TCU logo, but Garcia says there are more designs to come. The company is currently working on getting a license to create pieces with the TCU crest and is also designing an architecture piece that Garcia says will likely be of the Brown-Lupton University Union clock tower. “You can be an 18-year-old freshman or a 70-year-old alumni and you can still wear our pieces,” Garcia said. Garcia said her advice to a college student who is just entering the professional world is to be proactive, always push yourself, ask what else can be done and prove you’re a self-starter. “Enthusiasm goes a long way no matter what field you’re in,” Garcia said. Starting Kyle Cavan has been a learning experience, Garcia said, but she says her decision to follow her passion has been gratifying. Kyle Cavan is offering TCU students 10% off with the code “TCUGRAD” through May 13. Next articleWhat we’re reading: Will Notre Dame be saved?